Our small family run holiday park has achieved a 4Star grading from the Scottish Tourist Board. 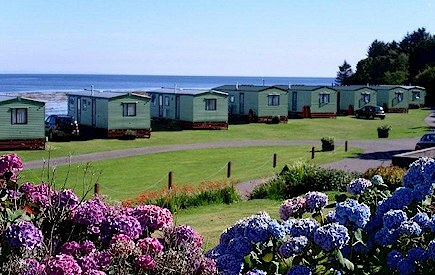 We offer caravan holiday homes for hire as well as providing pitches for touring caravans and motor homes within our terraced well kept park. Facilities on-site include reception/launderette block, modern toilet/washing facilities with ample hot water and free showers. Above all, we strive to offer a peaceful holiday in a pleasant environment for those who seek a break away from the hustle and bustle of everyday living. The famous links course at Machrihanish is only 10 miles away - 18 holes. Also the new Machrihanish Dunes is a great new links course. Carradale is also only 10 miles away - a 9 hole course. Southend is approximately 15 miles away and is another 18 hole course. There are numerous wrecks in Kintyre area. The front of the park offers a sheltered anchorage where launching is also available. Became world known through Sir Paul McCartney's "Mull of Kintyre". The local Campbeltown pipe band played backing pipes in this famous song.